Would you like to bring the Computer Science Discoveries course to your middle school next year? Would you like to offer Advanced Placement Computer Science Principles at your high school? Please navigate to https://code.org/educate/professional-learning to apply for the 2019-2020 secondary computer science cohorts. If you are interested in teaching Exploring Computer Science and would like more information on the 2019-2020 Exploring Computer Science cohorts, please complete the computer science interest form by navigating to http://bit.ly/CSinLAUSD2019. If you are interested in joining a 2019-2020 cohort, the online application will be accessible through Code.org and will open in January 2019. If you have any questions, please contact Dawn Guest-Johnson at dmg0923@lausd.net. At the end of the 2018-19 school year, Introduction to Computers will sunset and be replaced with Computer Science Discoveries (180115 and 180116), Introduction to Programming: Game Design and App Development (180117 and 180118), Introduction to Physical Computing (180121 and 180122), or an equivalent Career Technical Education (CTE) computer science course for students in grades 6-8. These courses are aligned to the new California Computer Science State Standards. 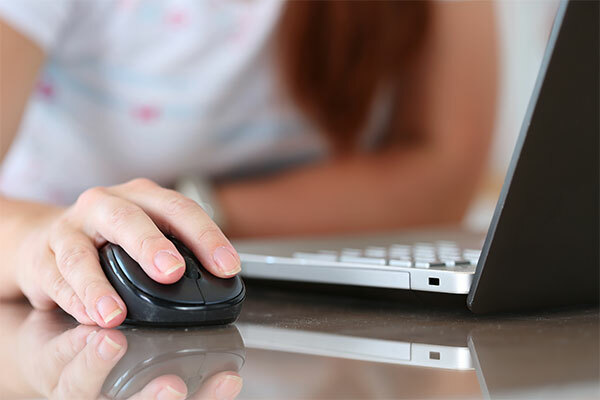 For students in high school, Computer Science 1 (CTE introductory), Exploring Computer Science (CTE concentrator, or non-CTE), or an equivalent course aligned to the new California State Computer Science Standards will be offered in lieu of students enrolling in Introduction to Computers, which will no longer be part of the secondary course catalog and will serve as introductory computer science courses open to all students. The theme of this year’s Computer Science Education Week (CSEdWeek) was “Creativity.” CSEdWeek is an annual program dedicated to inspiring K-12 students to take an interest in computer science. On December 4, 2018, Coldwater Canyon Elementary School had the opportunity to host the District’s kick-off event. 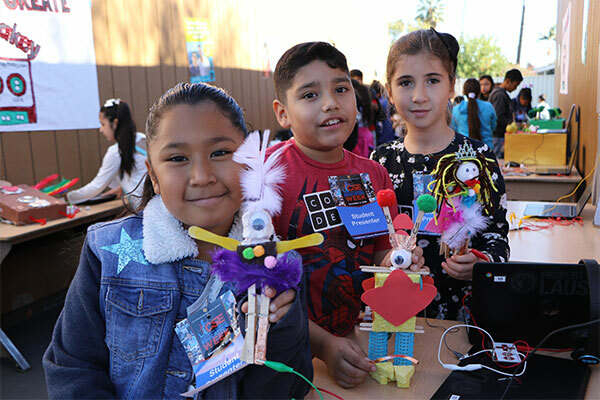 Students and teachers at Coldwater Canyon unleashed this year’s theme of “Creativity” by engaging in a CS Digital Playground and exploring a variety of student-created projects. This year Coldwater Canyon Elementary School has embraced computer science. The event showcased over 25 student projects that demonstrate computer science instruction engaging students as early as pre-school in unplugged coding to upper grades in physical computing and robotics. The California State Board of Education approved the first ever California K-12 Computer Science Standards in September 2018. To learn more about the adoption, review the following article: https://www.cde.ca.gov/nr/ne/yr18/yr18rel56.asp. To view the California K-12 Computer Science Standards, see the following link: https://www.cde.ca.gov/be/st/ss/computerscicontentstds.asp. The California Computer Science Strategic Implementation Plan was open for public comment from October 1, 2018, through November 9, 2018, at 3:00 pm (PST). For more information on this document, please visit: https://www.cde.ca.gov/pd/ca/sc/cssip.asp. The Instructional Quality Commission approved and recommended the draft computer science standards on July 26, 2018. The State Board of Education approved the Instructional Quality Commission recommendation and adopted the computer science standards on September 6, 2018. The CSTA K–12 Computer Science Standards delineate a core set of learning objectives designed to provide the foundation for a complete computer science curriculum and its implementation at the K–12 level. These competencies are intended to help educators build those skills by integrating computational thinking (CT) across all disciplines and with students of all ages. Who takes AP Computer Science?